1. Phone Function: 3G WCDMA 850/1900/2100; 2G GSM 850/900/1800/1900 quad-bands. 20. Applications: download, install and uninstall. 21. Watch Faces: 15 pre-installed watch faces, support free download watch faces. Function :1.Network mode: Insert a valid SIM card(not include) to make the smart watch an independent phone. 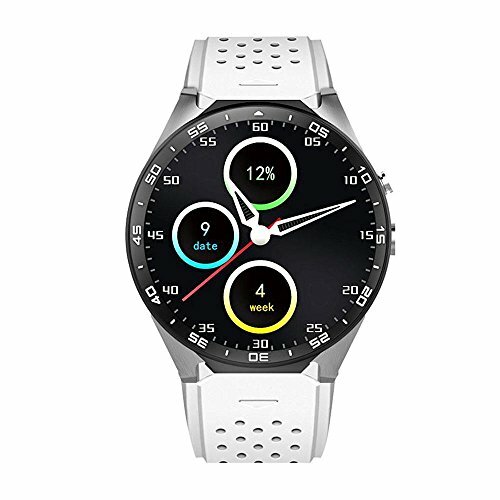 2.Bluetooth Mode: The smart watch is equipped with a Bluetooth 4.0 version that enable to make call or receive call or send or get message via Bluetooth. 3.WIFI mode :Equipped with Android 7.0 system to connect to the network via wifi. Smart Phone : GPS precision navigation, you can find the way home whenever and wherever. 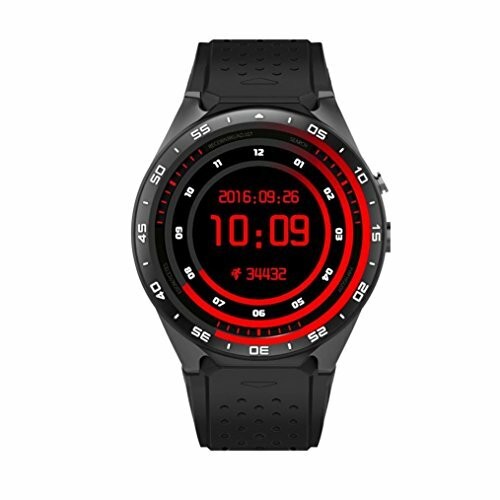 Free communication, this is a watch like the mobile phone, you can communicate freely, check the call history, caller ID name and other information. Heart Rate : Real-time heart rate detection, monitoring and prompting your heart rate at any time, let you better understand your health status according to your heart rate. Step by step, calculate the calories burned by the exercise data transmitted by the watch, and arrange your fitness plan reasonably. Support 3G communication and WIFI network, run downloads at high speed, and enjoy the Internet anytime. Practicality：Real-time weather display, according to the location, intelligent positioning, automatically update the weather conditions of the day, always bring enough preparation for your travel and work, enjoy life. Built-in independent sound cavity pronunciation unit, the sound quality is beautiful, can be played locally, and listen to dynamic music all the time. 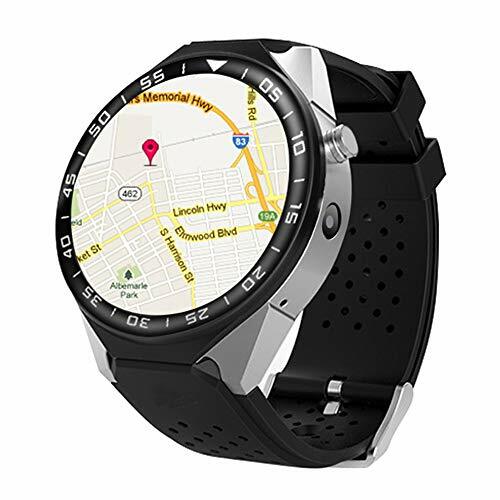 Widely Compatibility : This smart watch can support most Android and IOS phones. Such as iPhone, HTC, Samsung, Pixel, Sony, LG, HUAWEI, ZTE, Xiaomi, Vivo, OPPO etc smart phones. Bluetooth: Ver 4.0, compatible for both IOS and Android. 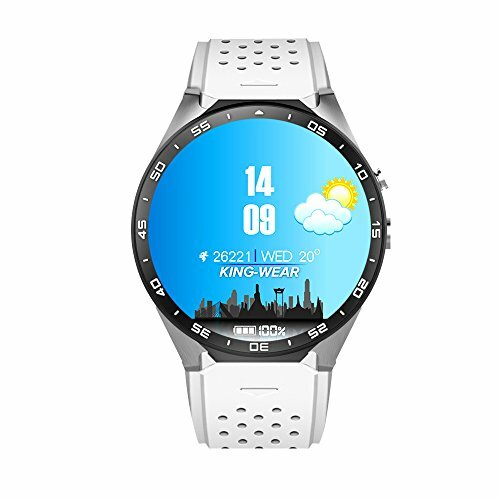 KW88 is the latest design of smart watch phone. It supports 3G module and can be used as an independent smart phone. pedometer, heart rate monitor and etc. 2. Anti-lost function is standby only while the Bluetooth is being well connected. 3. Please refer to the user manual before use. If you have any questions, please contact us promptly. 4.When you connect WIFI or 3G networks, smart watches will may be heat up. High Configuration &Quality Craftsmanship: KOBWA KW88 smart watch adopts MTK6580 Qual Core with Android 5.1 OS, RAM 512MB + ROM 4GB. Durable aluminum watch case through anodic oxidation processing and CNC manufacturing. 1.39 inch AMOLED, 400*400 circular capacitive touch screen. HD camera with 6P lens and F2.0 large aperture, interpolated 2 million physical pixels, easily take beautiful photos. Using OIS and 3D noise reduction technology to record HD video. 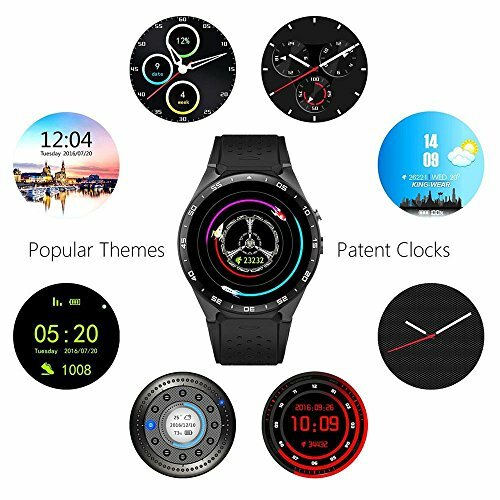 Multifunctional & Notification Sync Updates: KOBWA KW88 smart watch can be use as a MP3 player, Video player, Sound Recorder, Pedometer, Alarm clock, Heart rate monitor, Remote Control, Anti lost, Message Reminder, all in one! It can synchronize update notification of your Apps,while the bluetooth is being connected. You will never miss what matters. GPS Navigation: KOBWA KW88 Smart Watch supports GPS map tracking, satellite positioning, with Voice assistant, GPS help you to locate and determine the correct direction. 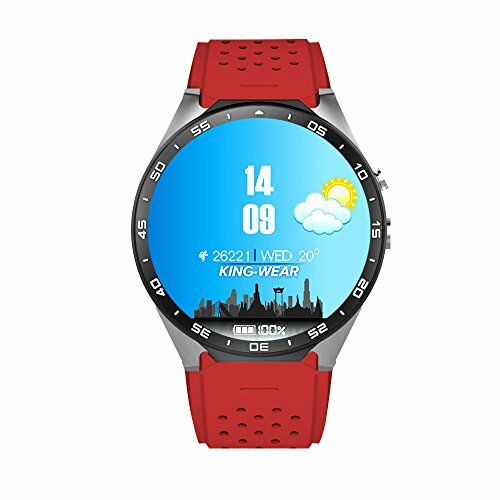 Contact Anytime and Anywhere: KOBWA KW88 Smart Watch can independently make / receive phone calls with one SIM card of 2G GSM 850/900/1800/1900, 3G WCDMA 850/2100 internet. And it can connect WIFI and bluetooth.In Google play, it supports downloading numerous popular applications. 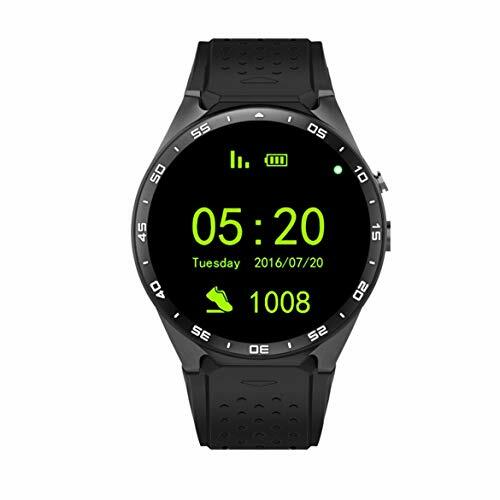 Heart Rate Monitor & Pedometer: KOBWA KW88 Smart Watch comes with high accuracy heart rate sensor, it will help you to know your heart rate status anytime anywhere. It also can automatically record your daily steps,distance and calories burned. Be your own immediate health steward. Enjoy your smart life! We suggest use KW88 smartwatch independently. If you want to connect with bluetooth,please download the APP first,then connet the cellphone bluetooth from the App. * Support: MP3,MP4 media player, Record Sound Video, Take Picture. 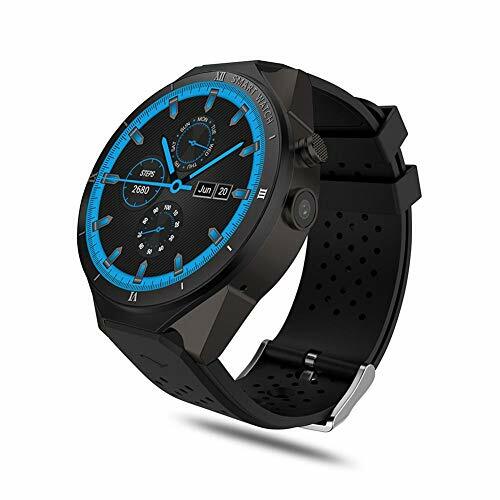 Sports Design & Multifunctional: AWOW KW88 Smart Watch Cell Phone uses aluminum watch case with anodic oxidation processing and CNC manufacturing. 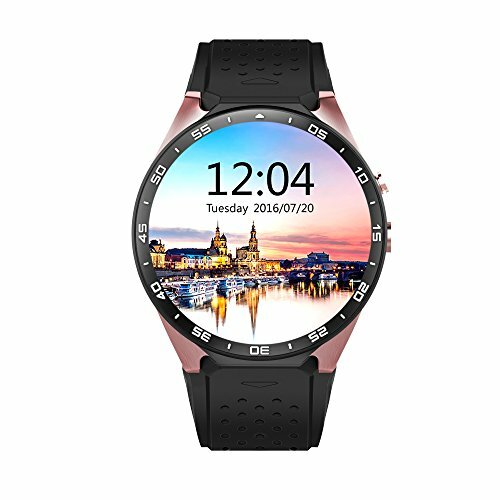 With 1.39 inch AMOLED, 400*400 circular capacitive touch screen, it can be as a MP3 player, Video player, Sound Recorder, Pedometer, Alarm clock, heart rate monitor, Remote Control, Anti lost, Message Reminder, all in one. Equipped with an excellent CPU with precise reaction speed. Provide memory of 512MB+4GB,indulge you with great entertainment with enough space. Share with high resolution and GPS navigation. Perfect gift for your friends and relatives. Record your steps and calories and heart rate to keep healthy.